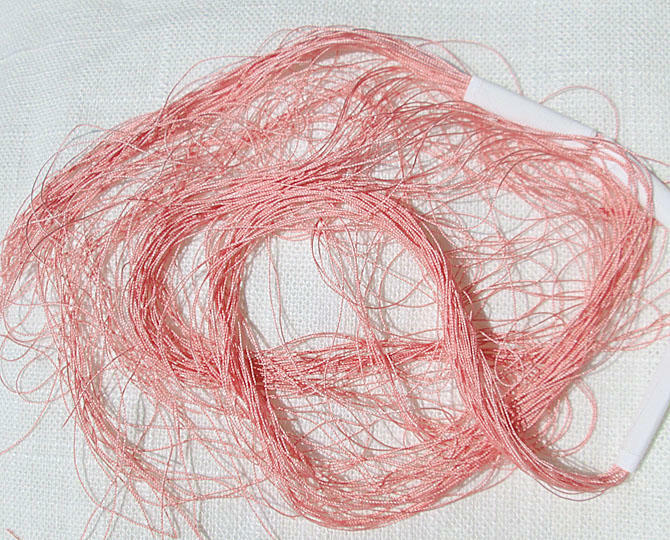 This filament silk embroidery thread that I've hand dyed a peach salmon color is a tightly twisted, two-ply thread with a thickness equivalent to one strand of DMC cotton embroidery floss. When dyed, the silk has a brilliant sheen and it sparkles in the light. 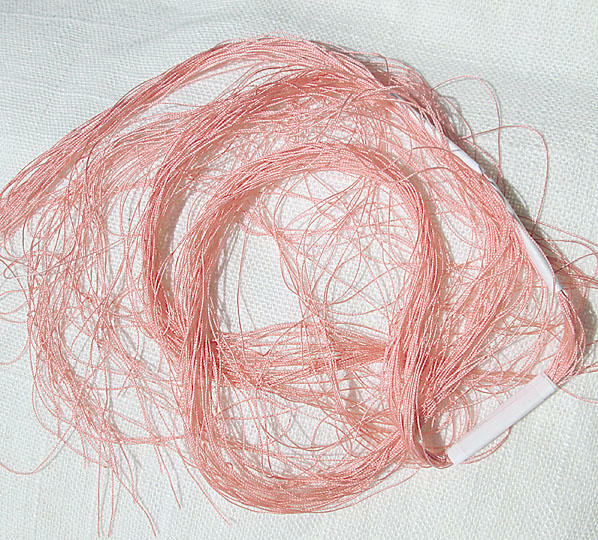 I have cut this filament silk embroidery thread into 36" length strands, and you will receive 40 strands for a total of 40 yards. I photographed the silk in natural light without flash. 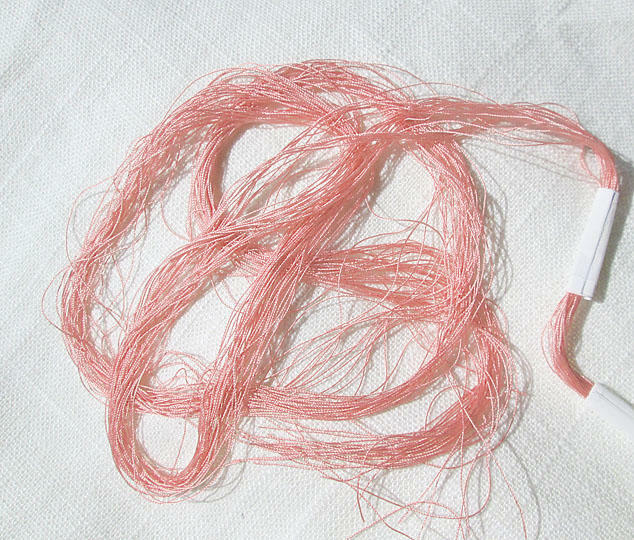 Your silk thread will be carefully packed, wrapped in plastic and shipped first class mail with tracking. I do combine shipping cost, so you can save money if you purchase additional items at the same time.